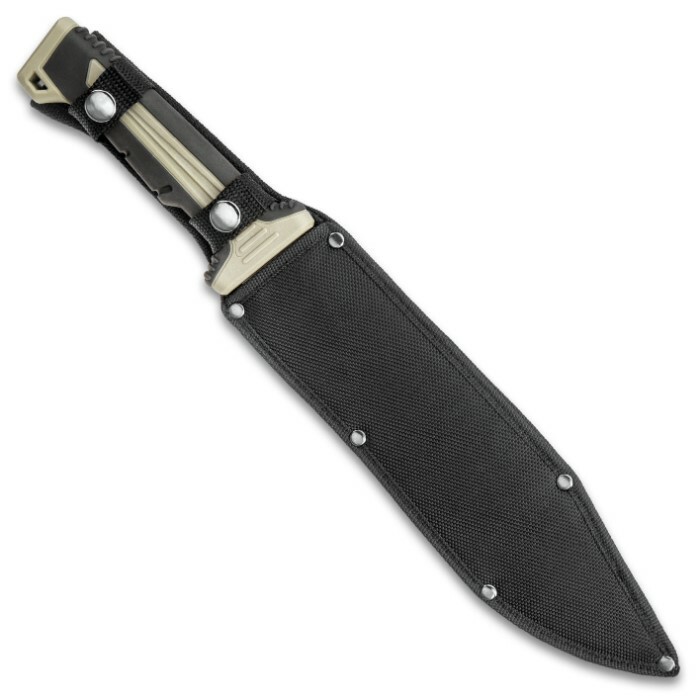 SOA ZULU 5.56 Combat Knife | BUDK.com - Knives & Swords At The Lowest Prices! 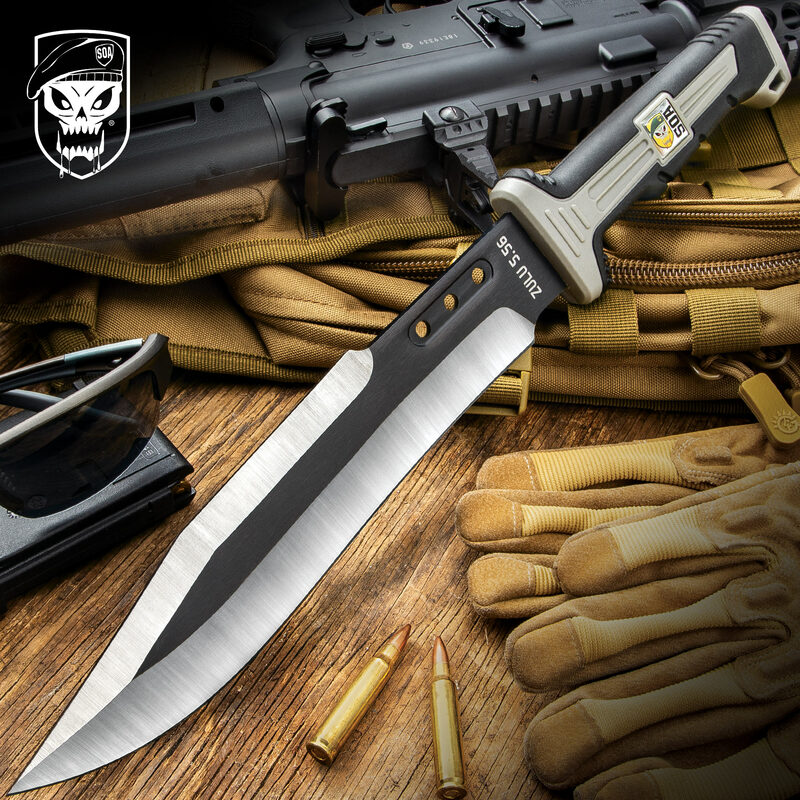 The SOA ZULU 5.56 Combat Knife was designed with the mission in mind. Whether that mission is taking on the thickest jungles of South America, or splitting firewood on a camping trip in the frozen tundra of Alaska - this knife will accomplish your mission. A double-injection handles offer a slip free grip that is accented by handsome SOA medallion that is embedded in the handle. 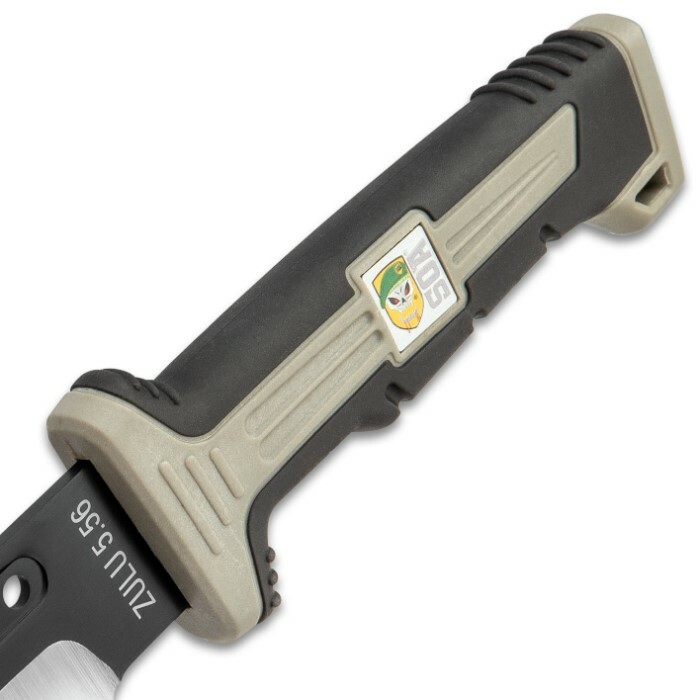 A durable nylon sheath is included for keeping this mission ready knife close by your side.